Our wood-fired pizza oven 105 is a revolving oven perfect for pizzerias but also for those restaurants where pizza is included in the menu. The wood-fired oven 105 provides the rotating cooking floor with constant heat and as pizzas move alone inside it, a fast and uniform cooking method is guaranted. 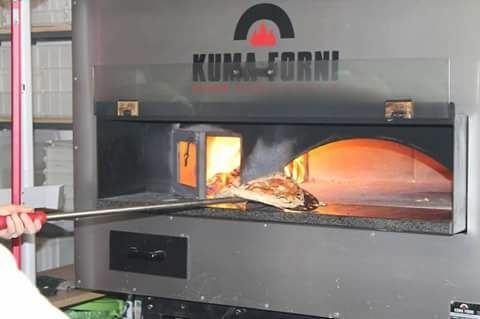 Pizzerias that will purchase this oven model will have the possibility to reduce pizza maker’s costs to zero, as in this case no human intervention is needed to move pizzas and check their cooking quality. Like other Kuma revolving oven models, the wood-fired oven 105 can have the firebox either on the right or on the left.